“What’s the difference between blazer and sports coat?” This is a typical question asked by many. Men’s fashion is not as straightforward as women. In fact, it is not necessary to follow fashion rules each time men dress up. However, there are still fashion rules that men should know to obtain proper images in order to make them look desirable. There are several clothes for men that are often worn inappropriately such as blazers and men’s sport coats. Read on and get to know the difference. Sports Coat : Men’s sport coats are typically made of heavier and rougher textured fabrics. This includes knobby wool, twill, or tweed. Sports coats also have patterns like plaid and Houndstooth. 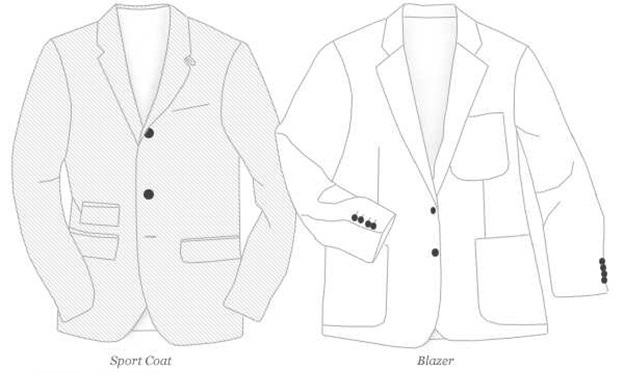 Blazers : Generally made of finer fabrics such as premium wool and rayon, and they usually have a smoother texture. Blazers are commonly black, gray or navy in color but it also has crafty prints such as pinstripes. Sports Coat : A sports coat is donned as a casual dress. It is used as a famous choice for hunting and birding. Blazers : Most of the time, blazers are used only during formal occasions. It is similar to tuxedos and suits. Blazers are more formal which can be worn on special occasions or events like wedding, conferences and funerals. For leisure pursuits, a blazer is worn over denim pants for a casual look. When it comes to fitting, blazers are generally tailored when compared to sports coats. Blazers must fit snugly in the chest and torso when it is buttoned while sports coats are worn in a relaxing manner. In spite of this, the collars of both clothing must be laid flat and smooth wherein you can lift up both of your arms comfortably. Since sports coats are more of a casual wear, it is best paired with jeans, khaki pants and trousers in a contrasting color. Sports coats must be worn without a tie, but it is also ideal to pair it with a bow tie. Avoid wearing sports coats as suits because it is inappropriate. With blazers, it is best recommended to pair it with slacks or trousers in a different color wherein it can generally be paired with a button-down shirt, regardless if you are going to wear a necktie with it. 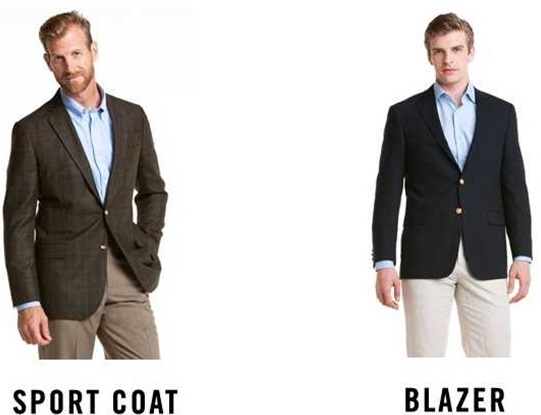 With this guide, can you now spot the difference between blazers and sports coats? At work. Proper dressing at work is very essential and you need to wear clothing that makes you look like a professional. However, both blazers and sports coats are ideal for work but this usually depends on your work environment. Special Events. If you are having a formal dinner or attending an event, a blazer is more formal while sports coats are best for casual events like hanging out with some of your friends. When traveling. You need to wear something comfortable when you go for a travel and sports coats are best recommended to wear because blazers are tighter to wear which is very inappropriate.